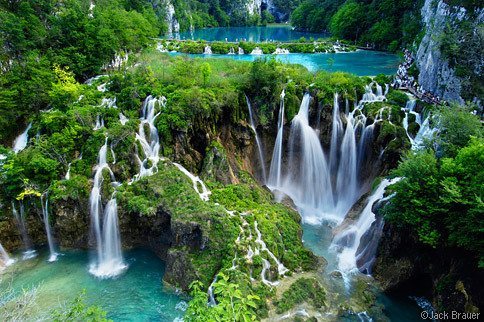 My photo “Plitvice Waterfalls”, shown below, is by far my most popular photo. It seems to show up on Digg.com just about every month (much to the chagrin of the regular Digg members). Digg.com is a high-traffic web community that shares links to interesting web pages. I love to browse the comments on Digg, since they come from a seemingly random pool of viewers. Here’s some of the funnier comments I’ve read. Posted in Articles, Funny Stuff on February 14, 2008 September 19, 2013 by Jack. ← Previous: "Shaken in the Julian Alps"